NEW YORK, March 31, 2014 /PRNewswire/ -- On May 13, Epic Records, in conjunction with the Estate of Michael Jackson, will release XSCAPE, an album of new music by the internationally beloved music icon and King of Pop, Michael Jackson. The project features eight new tracks, which the world will be hearing for the very first time on the new album. For the ultimate fan experience, XSCAPE will also be available in a Deluxe Edition, which includes all of the sourced Michael Jackson recordings in their original form. The XSCAPE standard and Deluxe Edition's are available for pre-order beginning April 1 on iTunes.com/MichaelJackson and elsewhere, and available at all retailers worldwide on May 13. XSCAPE is executive produced by Epic Records Chairman and CEO L.A. Reid, who, after an initial mining of Jackson's archives by the Estate, was granted unlimited access to the treasures representing four decades of material on which Jackson had completed his vocals. Reid curated the final list of recordings to deliver to the producers, who retooled the production to add a fresh, contemporary sound that retains Jackson's essence and integrity. It's a process Reid calls "contemporizing." The album's lead producer, Timbaland was one of a handful of producers Reid believed had the gravitas, depth and range to creatively engage with Jackson's work. Additional producers include global hitmakers Rodney Jerkins, Stargate, Jerome "Jroc" Harmon and John McClain. "Modern music and artistry would look and sound completely different if not for the groundbreaking contributions Michael Jackson gifted to the world," remarked L.A. Reid. "Michael left behind some musical performances that we take great pride in presenting through the vision of music producers that he either worked directly with or expressed strong desire to work with. We are extremely proud and honored to present this music to the world." The title of this album honors Michael's album naming process. He always chose a song from the album to name his projects and, beginning with THRILLER, used only one word titles, each with an edgy quality to them. This is true of the new project. Written by Michael Jackson and Jerkins, and produced by Jackson and Jerkins, "Xscape" has further significance in that it is the one track on the album that was 'contemporized' by the producer who recorded it originally in the studio with Michael. "Michael was always on the cutting edge and was constantly reaching out to new producers, looking for new sounds. He was always relevant and current. These tracks, in many ways, capture that spirit. We thank L.A. Reid for his vision." 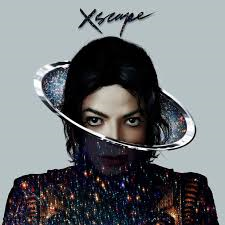 XSCAPE is a long awaited collection of exciting new music that will thrill the legions of fans of one of the world's most revered and best-selling artists, as well as attract a whole new generation discovering his artistry for the first time. In conjunction with the release of XSCAPE, Epic / Sony Music will launch an unprecedented global campaign with the One Sony sister companies, Sony Corporation, Sony Mobile Communications, and Sony Network Entertainment International drawing from all of Sony's strengths and consumer reach. More news about Michael Jackson's upcoming album will be revealed in the coming weeks. Keep visiting www.michaeljackson.com for new details. Michael Jackson is one of the most beloved entertainers and profoundly influential artists of all-time. He was also a dedicated philanthropist and an astute business professional. To date Jackson has sold 1 billion records worldwide, released 13 No.1 singles and became one of a handful of artists to be inducted twice into the Rock and Roll Hall of Fame. The Guinness Book of World Records recognized Jackson as the Most Successful Entertainer of All Time and "Thriller" as the Biggest Selling Album of All Time. Jackson won 17 Grammy Awards including 8 in one year, a record in itself, and received 26 American Music Awards, including the Artist of the Century Award. Jackson defined the art form of music video with such ground-breaking short films as "Billie Jean," "Beat It" and the classic "Thriller," which in 2009 became the first and only music video inducted into the National Film Registry of the Library of Congress. In his short films "Black or White", "They Don't Care About Us", "Bad and "Smooth Criminal" and others, Jackson set an aesthetic standard for video production that remains unsurpassed even today. The Estate of Michael Jackson and Cirque du Soleil have produced two top shows: Michael Jackson THE IMMORTAL World Tour is the #9 top grossing tour of all time; and MICHAEL JACKSON ONE, a new permanent show at Mandalay Bay Las Vegas, which is breaking box office records and receiving critical raves. Jackson's sound, style and dance moves continue to inspire today's performers and new generations of fans worldwide continue to discover his artistry.